A rough season for Bob Huggins’ Mountaineers continues to get rougher. Esa Ahmad and Wesley Harris have been dismissed from the team for a violation of athletic department policies, per a statement from WVU. Esa Ahmad is a senior and was averaging 12.0 points and 5.8 rebounds per game. He is averaging 2.8 turnovers per game and shooting 24% from three-point range. When he joined the Mountaineer program there were big expectations for Ahmad. He made a huge jump between his freshman and sophomore year and was expected to make another improvement during his junior season. Instead he was suspended for the first semester of his junior season and never seemed to recover. Success during the 2019-2019 season hinged on the duo of Ahmad and Sagaba Konate. To say they have under performed would be a massive understatement. It’s very likely we have seen the last of either of the two in a Mountaineer uniform. 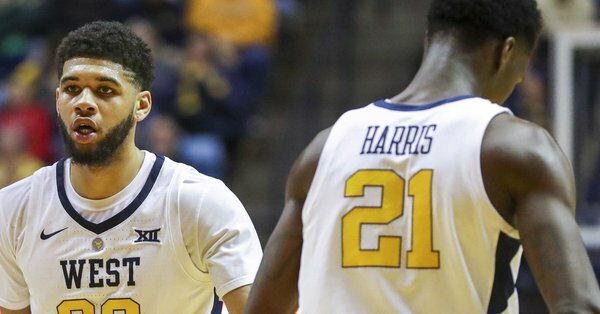 Junior Wesley Harris has been in and out of the starting lineup his first two seasons as a Mountaineer. So far this season Harris is averaging 7.9 points and 4.5 rebounds per game. It’s very likely we’ll never know exactly why these two were dismissed from the team, but with not much less to salvage in the current season, moving on from these two will not affect the program much moving forward. With Ahmad graduating and Harris not being an impact player, the 2019-2020 season will not see much of a difference in performance. That said, you never want to see two players kicked off the team. More so, you don’t want to see two players in the starting lineup dismissed. In a season the team was predicted to finish second in the Big 12 and started out No. 14 in preseason polls, this team has been a complete disaster. Stay tuned as any new details on the situation will be made available as soon as we get them.